Where? 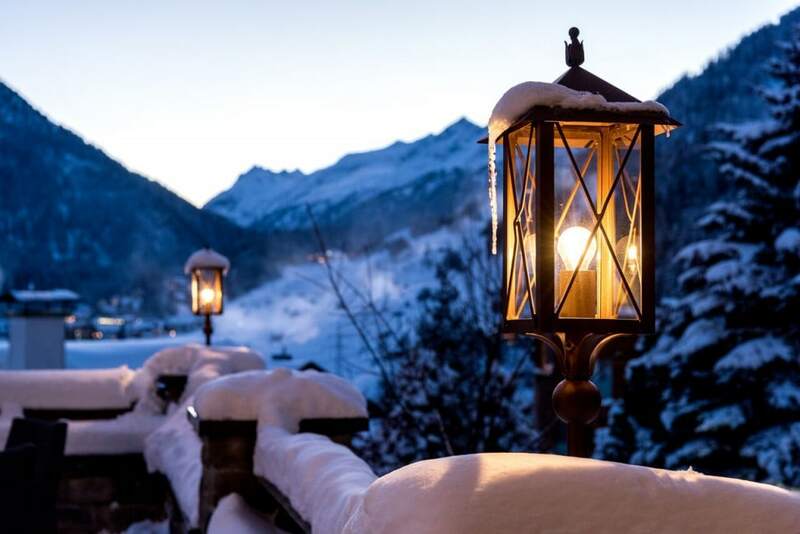 Hotel Tannenhof, St Anton, Austria. Why? 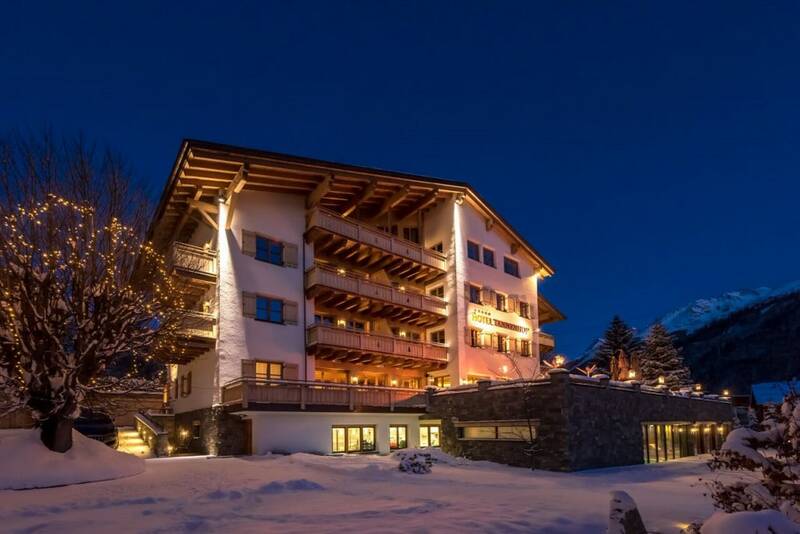 I was very lucky to be invited out to the luxury Hotel Tannenhof in the Austrian ski resort of St Anton. 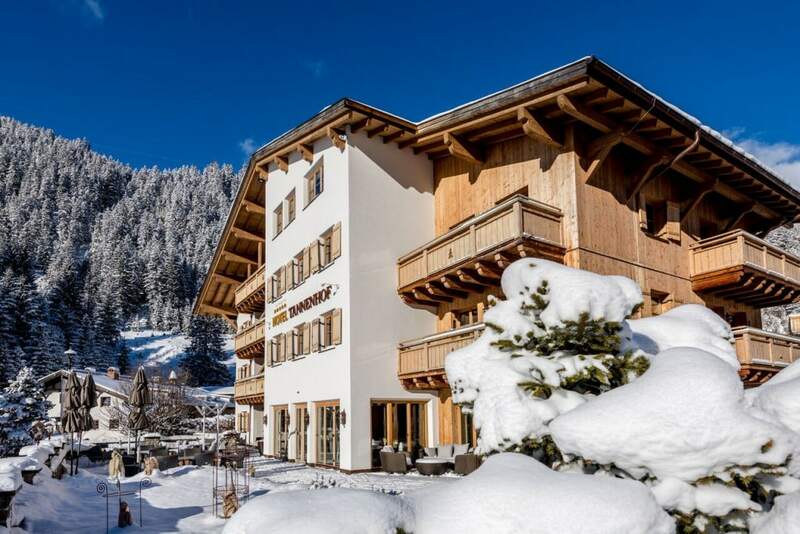 The stylish boutique hotel set at 1350 metres above sea level, comprises of 7 super chic suites, each commanding spectacular views of the slopes and beyond. 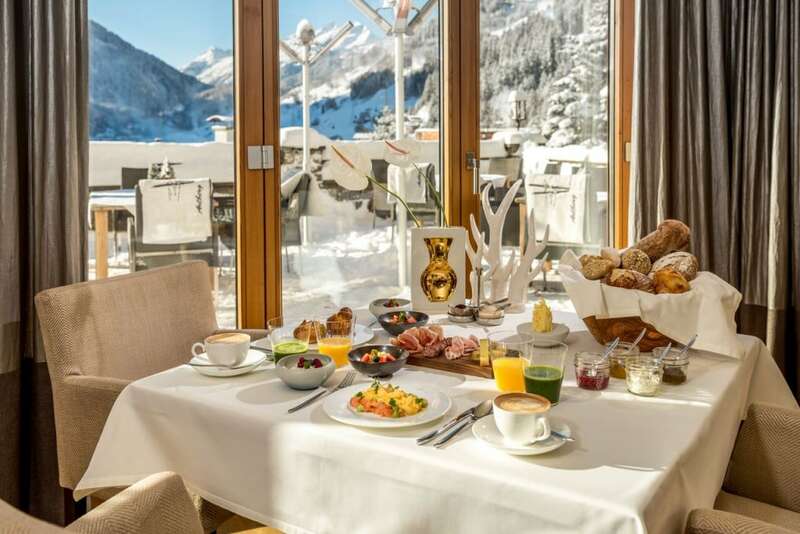 Hotel Tannenhof is Europe’s smallest and most prestigious five star hotel hidden away in the exclusive hills of Nasserein on the outskirts of trendy St Anton. 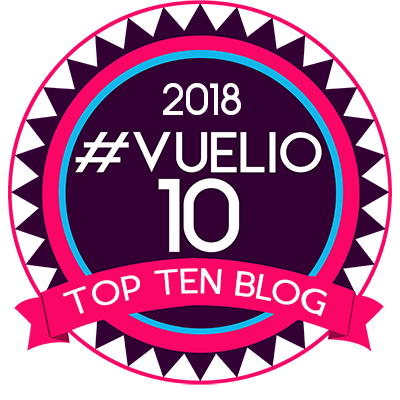 From the moment the hotels Masseratis come to pick you up at the airport, fully stocked with a basket full of champagne, water, sandwiches and chocolates for the weary traveller, to walking into the uber stylish suites with chic Tyrolian decor, you know this trip is all about luxury and being pampered. With an award winning chef, a brand new sophisticated gym, spa and range of hot tubs and saunas on site, everything about this hotel oozes comfort, luxury and understated elegance. 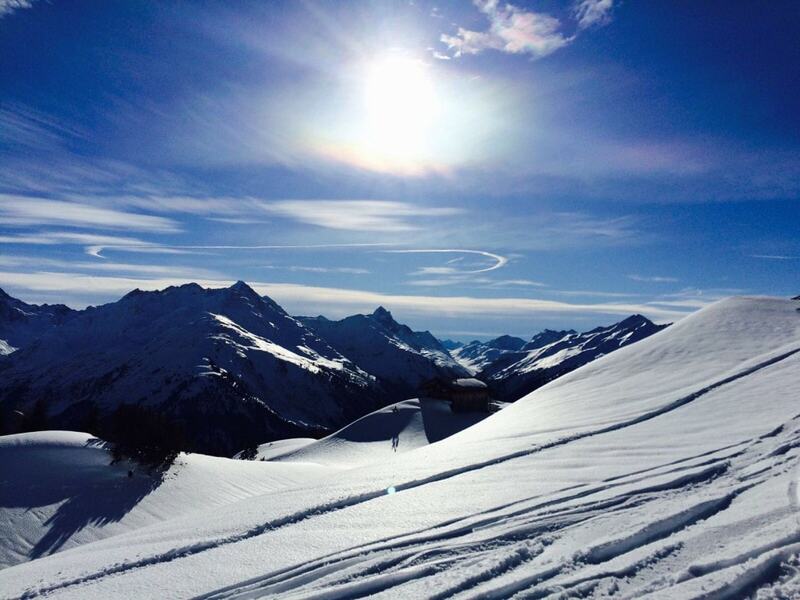 Hitting the slopes, whilst trying to look on trend for the season can be a daunting task. One rule of thumb I always swear is that whatever you choose to wear, the most important factor is practicality and functionality. You could look amazing and channel Bond girl vibes, but if your base layers are soggy from the snow / rain and your ski jacket and trousers aren’t properly waterproof you’re going to a have a miserable experience. This season I opted for the Sweaty Betty all in one ski suit. If like me you’ll be spending a lot of time on your bum after a fall, an all in one is perfect for keeping you dry all over. It also looks really cool and is a bit of an on-piste trend at the moment. Think retro ski bunny inspiration. Below as above with back country ski white all-in-one by Sweaty Betty. 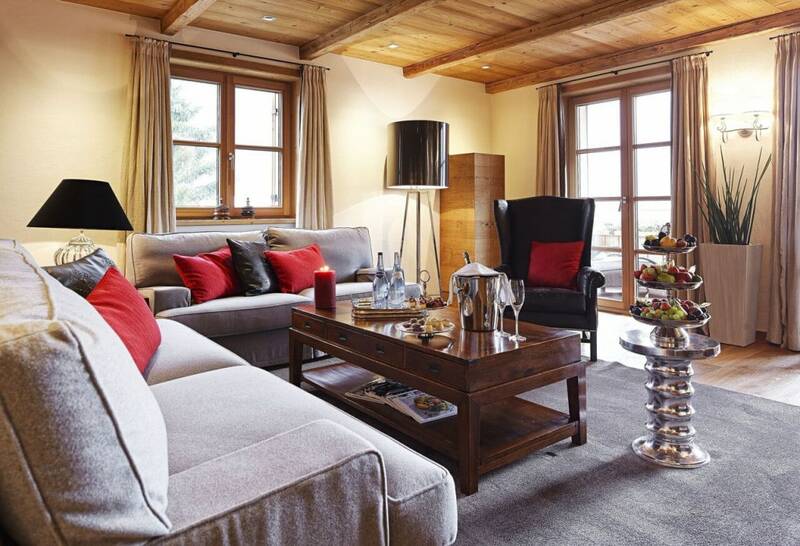 There are 7 exquisitely appointed super suites at the Tannenhof. When we stayed, the hotel was at full capacity but you hardly noticed anyone else was there at all. There’s a real air of exclusivity and privacy here, which is maybe why so many a-listers, VIP and royal guests choose to stay. The Tannenhof loves to spoil its guests. Every time I returned to the suite after a day of skiing there would a mini gift or treat awaiting me in the room. 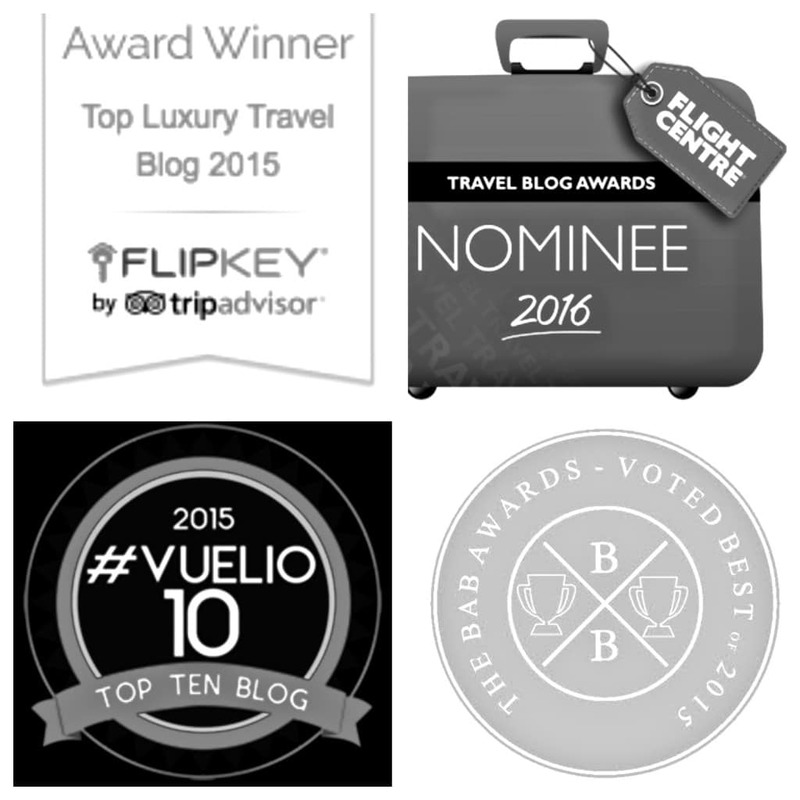 From bottles of champagne and nibbles to homemade honey pots and beautifully branded hotel merchandise. The interiors of the rooms are an elegant blend of traditional Tyrolian style meets modern luxury. Colours are natural and muted with textured, soft furnishings throughout to create a warm and relaxing environment. From pillow menus and blue tooth sound systems, to specially created music play lists for the guests every mood ready stored in the system. 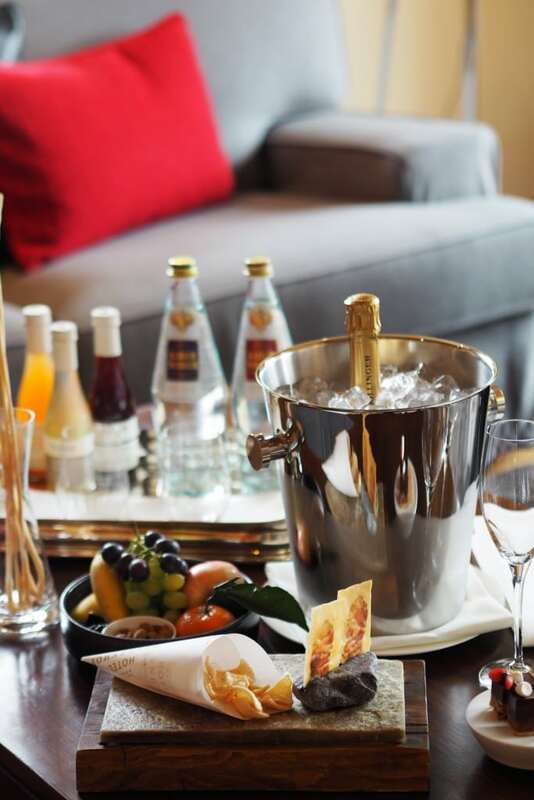 Add to that the immaculate service and treats in the complimentary mini bar (believe me there was nothing mini about this bar), there literally isn’t anything else you can want for. Me posing on the balcony ready for a days skiing. 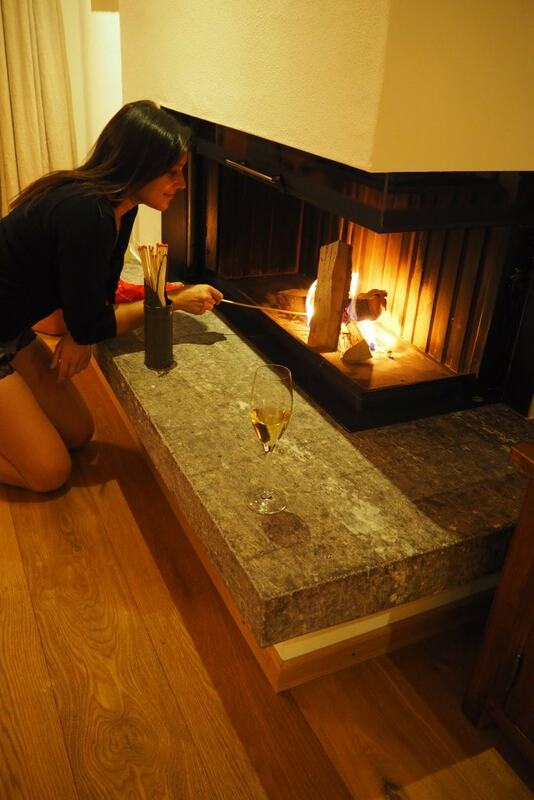 Every room comes with a real log fire so you can really cosy up in front of the flames with a chilled glass of champagne. It’s cold out there but its warm in here. 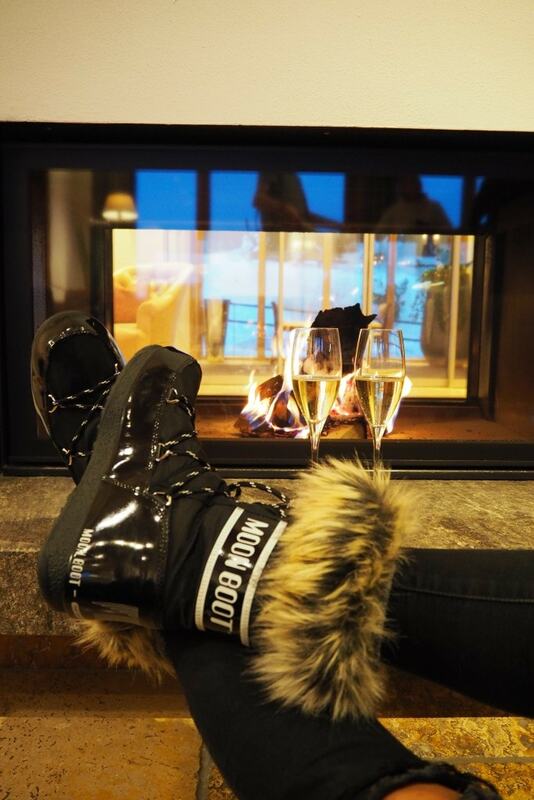 Accessorise with Moonboots and a glass of champs. 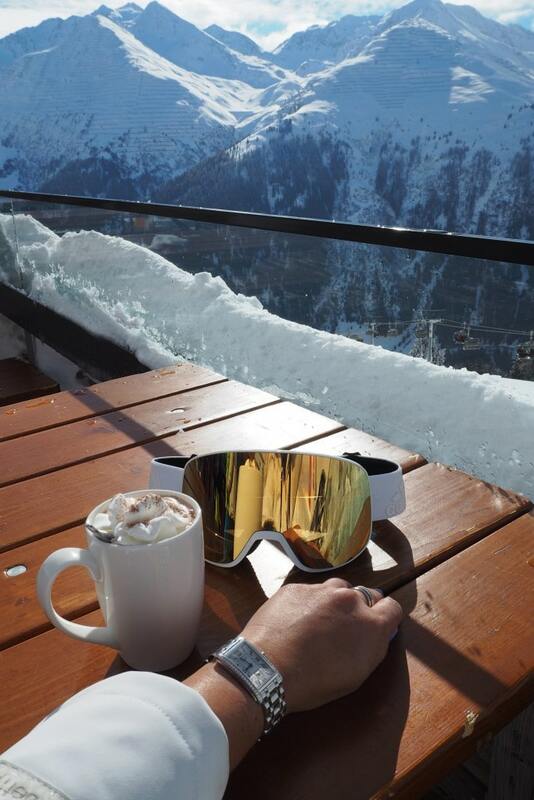 Chocolat chaud with a view. Watch by Longines, Goggles by Adidas Sport Eyewear. Bonnie wears back country ski white all-in-one by Sweaty Betty. 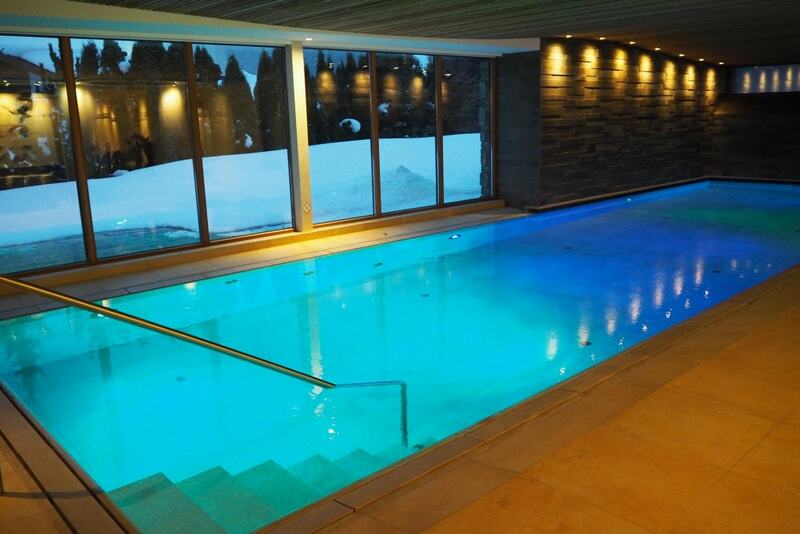 After a day on the slopes there is nothing better than coming back to the hotel and having a dip in one of the many heated pools or hot tubs. Unwind in the steam rooms and saunas, both indoor and outdoor options available and if you’re really in need of some soothing help, indulge in one of the hotel incredible spa treatments. I highly recommend the Raindrop Technique which is a rare European treatment incorporating essential oils, it’s ideal for relieving aching backs and boosting low immune systems. Above Bonnie wears Seafolly bikini from Beach Cafe. 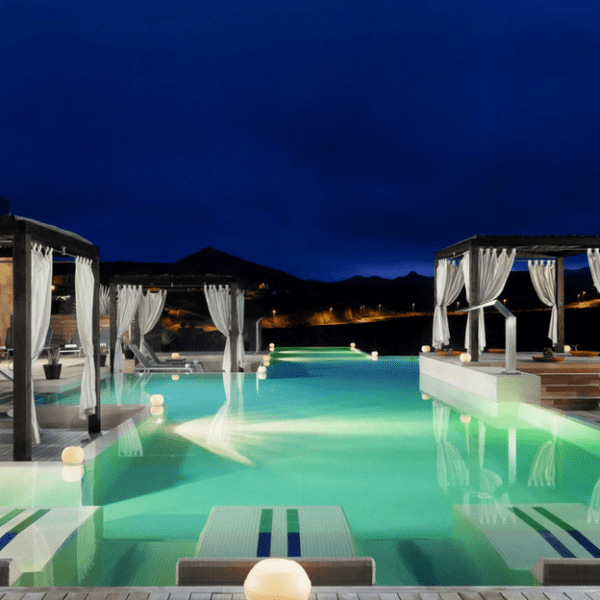 The main swimming pool is heated and changes colour to boost a sense of nurture and well being. Me having a quiet moment looking out over the snow filled terraces. 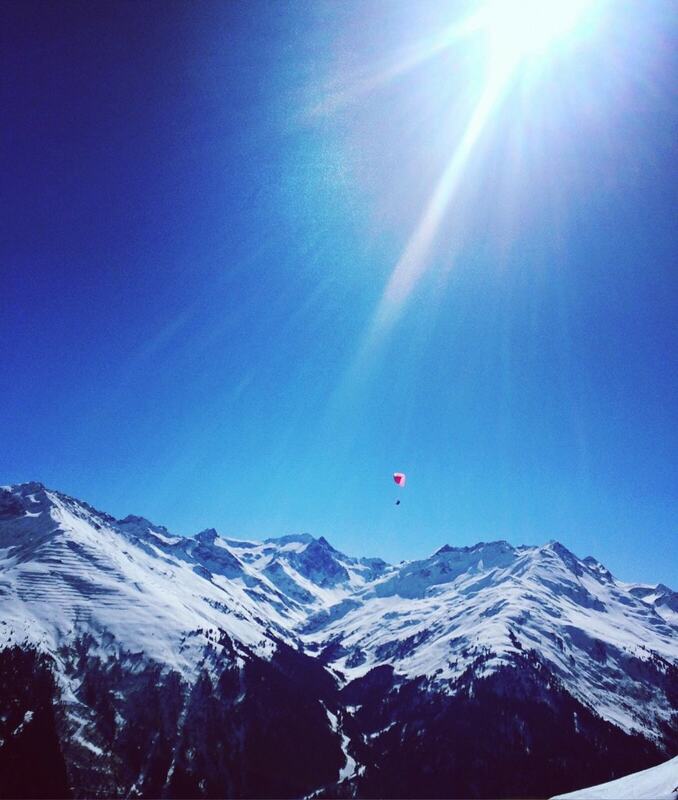 Love is in the air over St Anton, or is it just a hot air balloon? 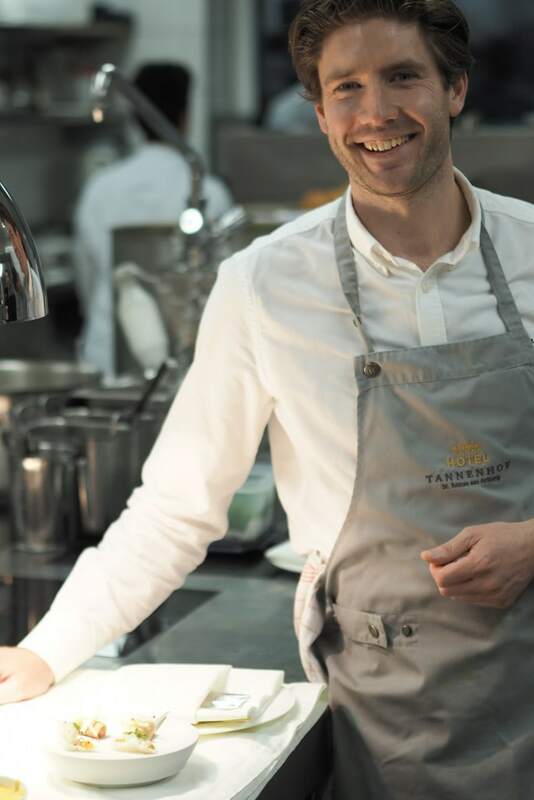 The hotel chef, James Barron is famed throughout the culinary world having been awarded a host of accolades, including the much acclaimed title of Austrian Chef of the Year 2017. 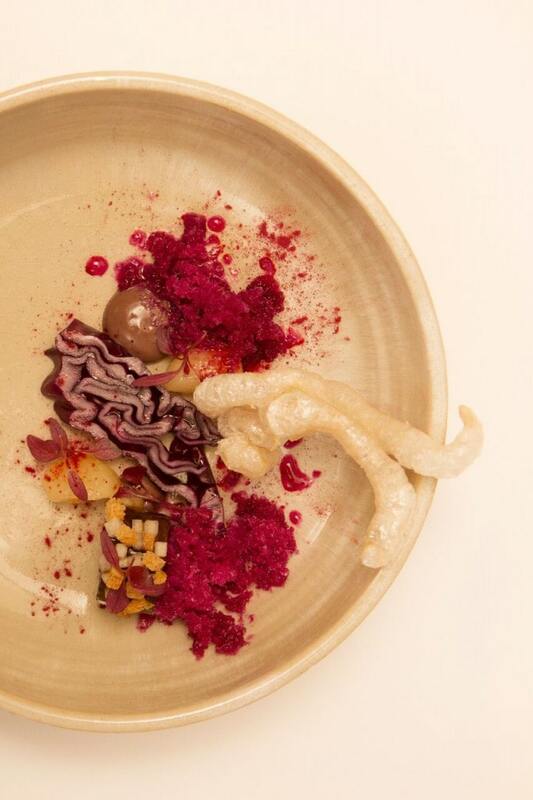 His restaurant at the hotel is legendary in these parts, delivering a culinary journey through the Alps via an exquisite seven course tasting menu and a perfectly paired accompanying wine journey. We were lucky enough to join James on a canapé making master course. Which of course meant we got to eat the fruits of our labours before dinner. 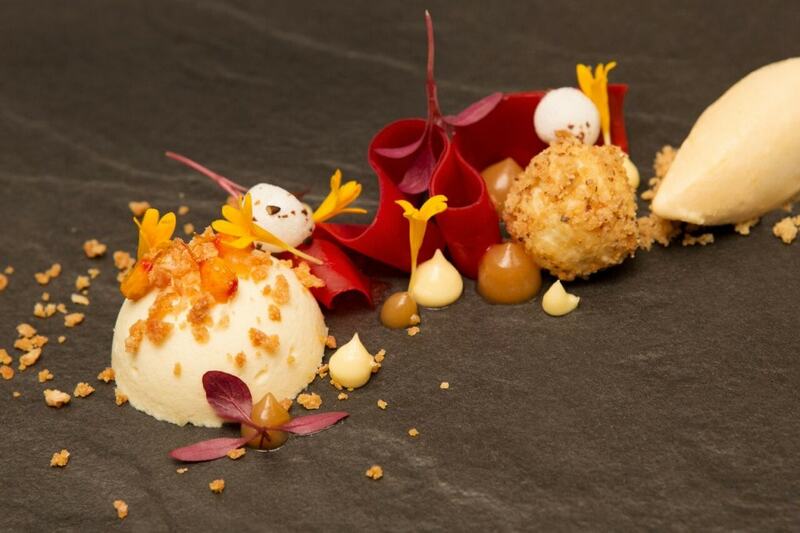 Jame’s kitchen adheres to the ‘garden to plate’ ethos, sourcing and championing many of the best local producers and their seasonal, fresh ingredients. From artisan breads, specialist meats and organic vegetables, each dish intertwines traditional yet experimental elements, to create mini masterpieces on the dish and your palette. His menu is sensational! Me and the gang enjoying a quick tipple on the hotel terrace before heading to the airport. Thank you to Hotel Tannenhof for such an incredible stay. Good bye from Hotel Tannenhof, next stop Dubai. You are a much cuter skier than I am. I always look like a sweaty mess when I ski lol. Those clothes look very warm. My place would be in the hot tub. This place is gorgeous. We just got back from Breckenridge and we had such an awesome time. 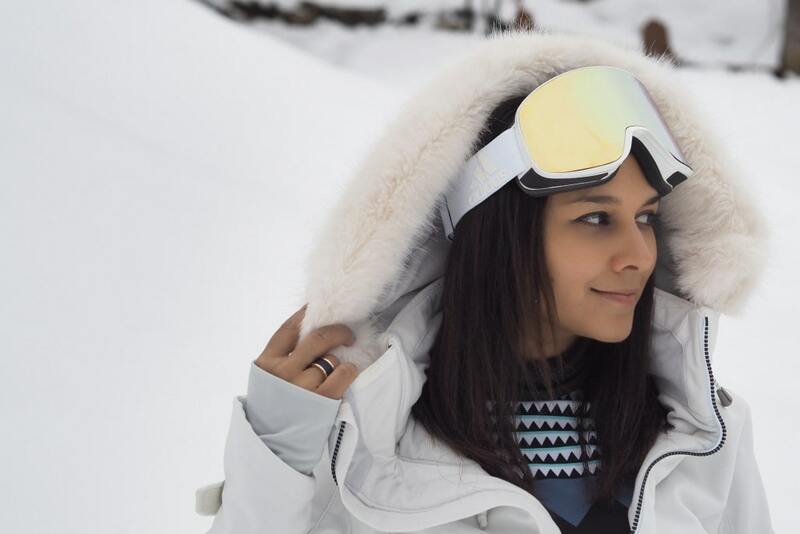 Love your outfits, perfect for a ski trip. Wow. Just wow. That hotel and ski resort is really awesome! Your photos in the spa is really unique. 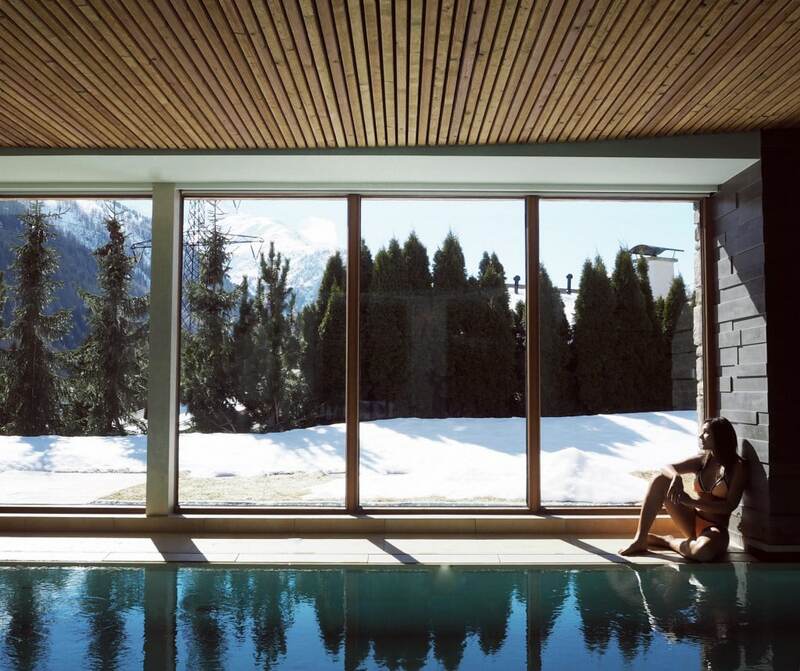 Donning a bikini indoors while looking out to a slope with white powdery snow. I love the concept! I will have to remember this place, this beautiful Hotel Tannenhof, if we ever get to travel to Austria. How cool is this?! I wish I looked as beautifully chic when I go skiing. Your post made me smile because my husband and I every year go to Colorado for a few days of skiing. It’s one of our favorite things to do. 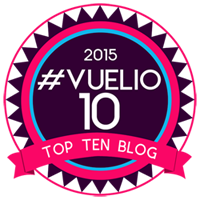 Thank-you for a fun post and such beautiful photos! You look comfortable and chic! Everything is so luxurious. The foods look so delicious. So not jealous at all NOT how fab do you look and this place looks amazing! 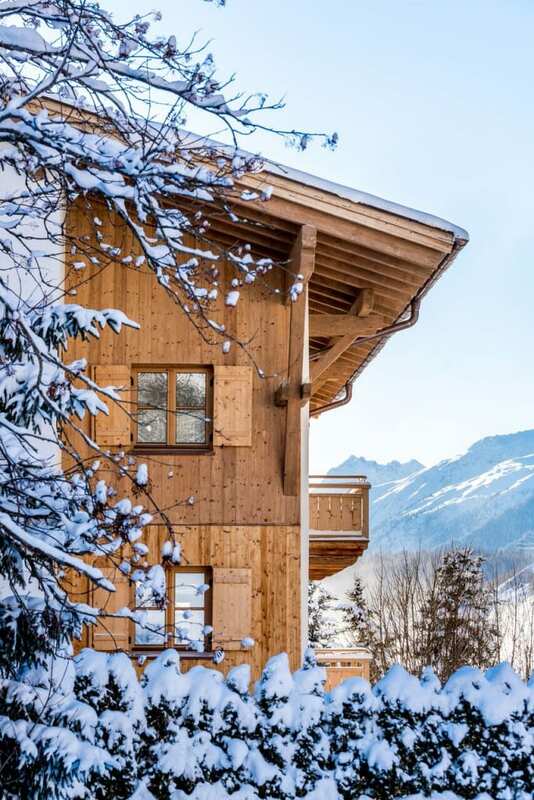 I’m thinking of taking my daughter skiing for the first time next year, when she is a tad older and this place has been added to our list! It’s been a long time since I last went on a ski trip! I definitely love your outfits! Everything’s perfect! That looks so warm and comfy! Those views look amazing. Yep, this is now added to my bucket list. 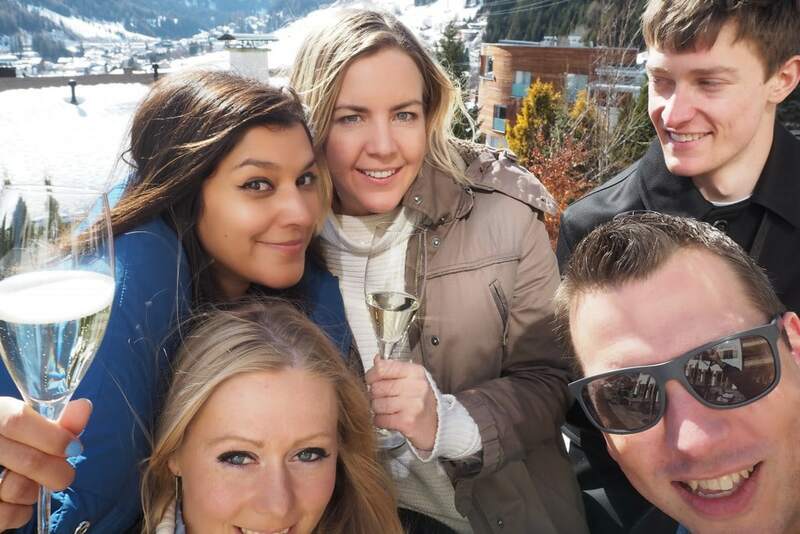 What an incredible ski trip! I love the Sweaty Betty clothing you chose, as well as those fabulous boots. Gosh, Hotel Tannenhof looks amazing and beautifully luxurious. I looove your ski wear, so very chic. The boots look cool too and also very snug. Your photos really tell a story and you can see you had an amzing time there with your friends. Haha! I love your response to my story and also the chef haha! I do hope you see snow one day, it’s amazing!! This looks like such an amazing place to visit! I’m glad you had a good time. My husband and I are taking the family to Vail next week. Could I please borrow your entire suitcase and everything in it?! You’re adorable. I love this. 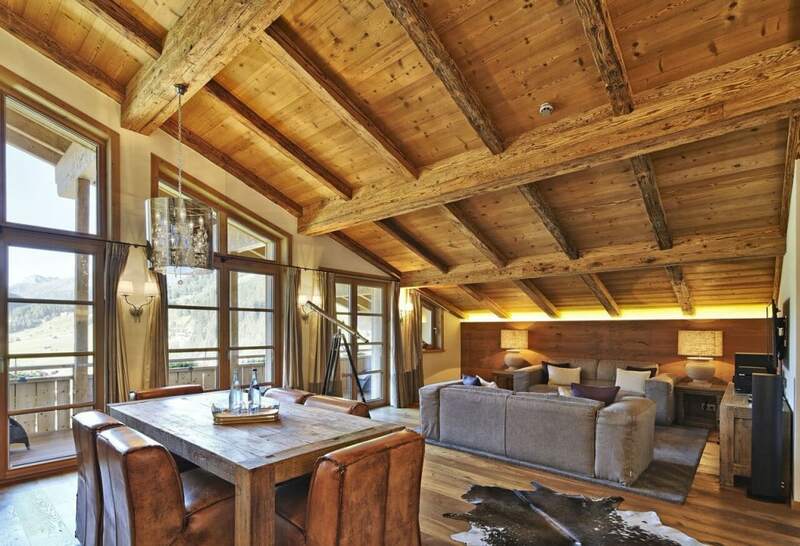 These are all some stylish ideas for anyone going on a ski trip. Looks like you had an amazing time! What great outfits! This area looks amazing. I’ve never been skiing before. You look amazing in these outfits. Seriouslt they are like perfection. This place is amazing too. These are great outfits for a ski trip and I just adore the Moon Boots. The Hotel Tannenhof looks like a great place to stay. and the views are amazing. Thanks for sharing your awesome experience and these cute outfits. Wow, you look so glamorous and the resort looks so luxurious. 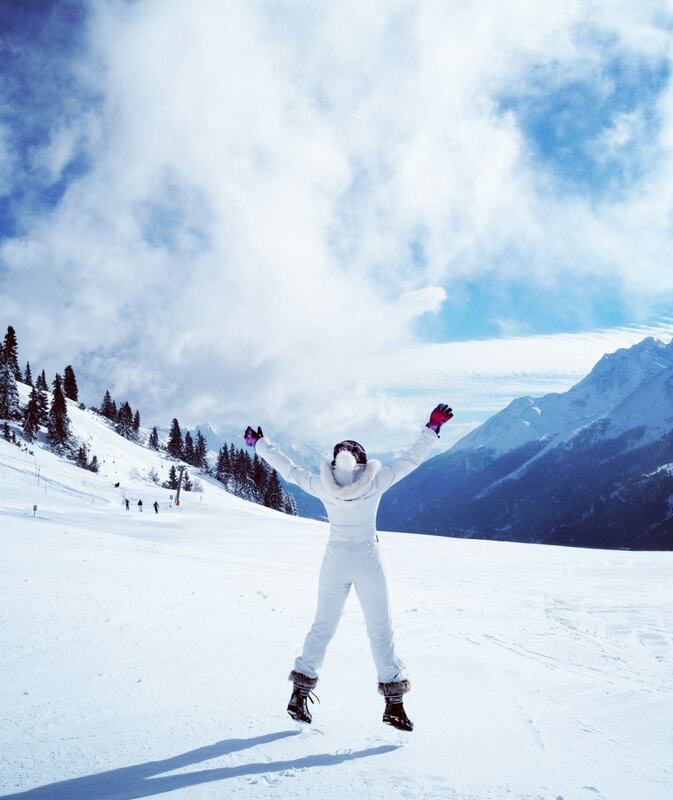 i don’t look half as good as you do in my ski gear – as many layers as humanly possible is the look I go for! Wish I could look this stylish! OMG does that hotel look glorious!! I personally hate the cold with a burning passion, but this looks amazing! And you are workin that outfit honey! Great tips! Also, this trip looks like it was amazing! Love the pictures! 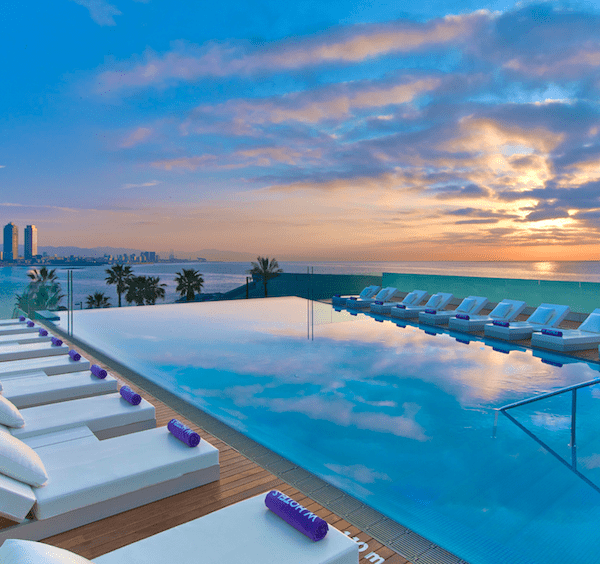 This resort looks amazing. I wish I could visit some day! For now I will just stare at your stunning photography – thank you for these shots! What a beautiful resort. As long as I am warm, I don’t really care what I am wearing when out in the snow! I love the white snow suit though. 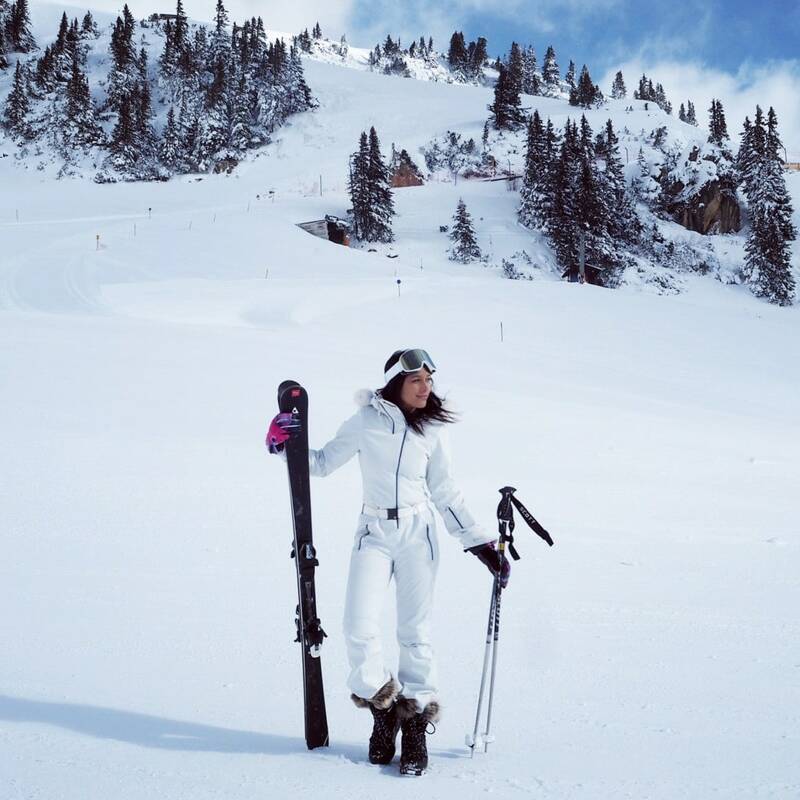 I am a beach girl myself but living in Germany I do wander out into the snow areas of Austria and Switzerland – love that black and white outfit. Your pictures looked amazing. I have always wanted to try skiing. Everything looks so perfect. Love all these photos. The hotel and spa look so comfy and relaxing. Your ski outfit is really stylish. This must have been an exciting trip for you. I have never been on a ski trip before and it is on my to-do list. Hopefully soon and will use your suggestions. That place looks like an awesome getaway with lots to do and many fun things to eat! Looks like you had a blast and the new outfit was a success! Oooh girl! You literally just went on my dream vacay! The scenery was so stunning (and so are you!!). I absolutely LOVED the white ski outfit. I started snowboarding when I was 14 (oh, man, that’s what? 22 years ago!). Back then there weren’t any trendy, cute outfits for us girls. I wore baggy khaki colored snowboard pants with a red and khaki coat. It was SO boyish! Yuck! Everything looks beautiful. 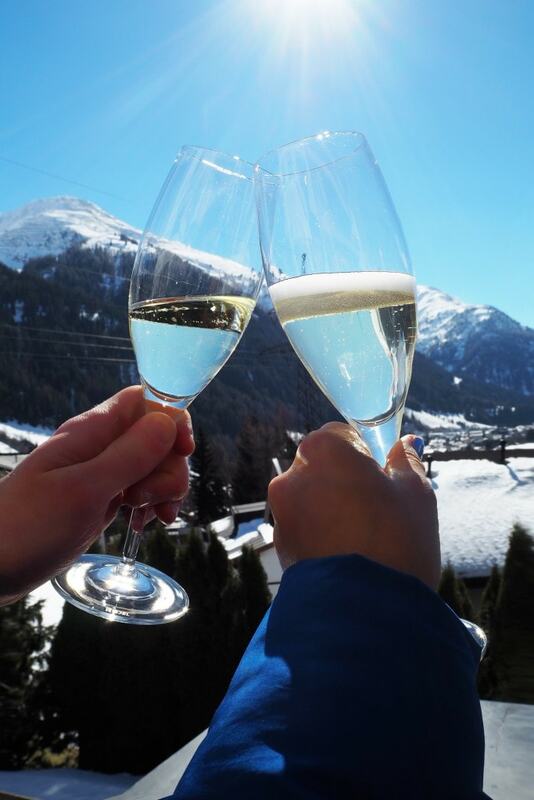 From Austria to your clothes to the snow covered mountains. Sure you had an awesome time ! What a gorgeous location! If I ever get a chance to go there, I will definitely stay at Hotel Tennenhof. Your outfits look great! Wow! Everything is spot on! I would love to be there and be a snow bunny! Gorgeous pictures! 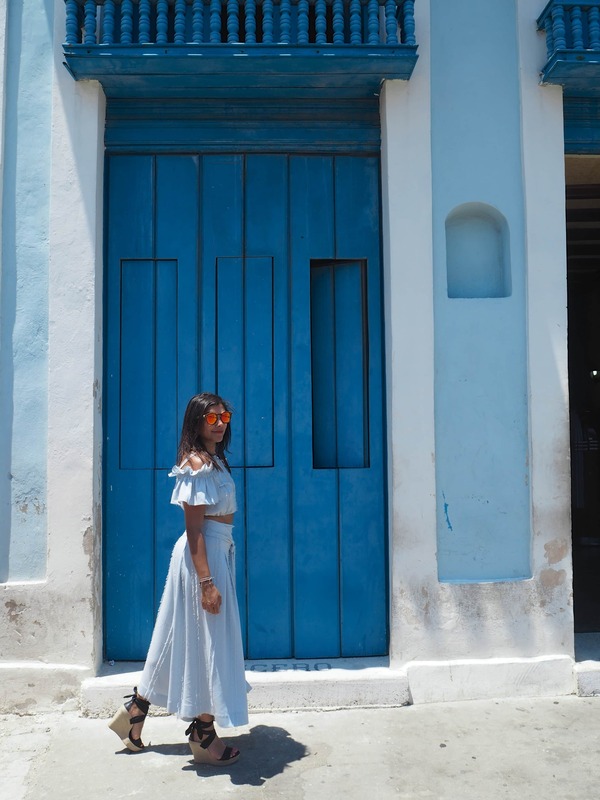 Indeed a perfect outfit is a must for every travel. You have to consider what to wear just like winter season. You have great outfit choices. Your black and white outfit really suits on you. I love it!. Surely you had an awesome experience. I’ve never been skiing before, but it’s on my bucket list. I probably wouldn’t be very good at it, but with these kind of threads, at least I’d look good! Oh, what a lovely place to visit! I like to try skiing but unfortunately, I have to travel abroad just to experience it. The hotel looks amazing and the food looks delicious! You really are a lucky girl. But I did like the outfits this one. Again I am jealous of your life. Should I be? Maybe a little but yes. Keep having fun and keep writing posts like this and I hope you will get all success.